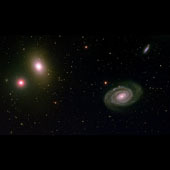 NGC 5363 is the elliptical galaxy in the upper-left corner of the image. And NGC 5364 is the spiral galaxy in the lower right. 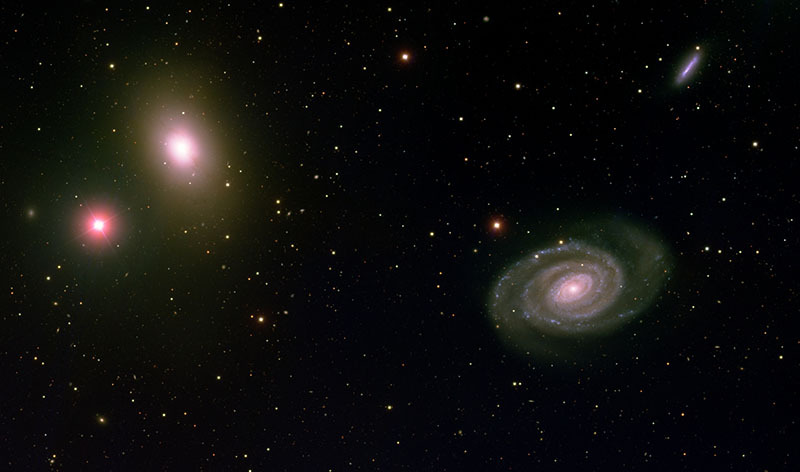 These two galaxies are likely in the early stages of gravitational interaction.